Holidays are great, but not so great when you come home and unpack your craft stuff and realise your husband has packed his tool box on your recently made card for this weeks sketch challenge at Freshly Made Sketches…… My card was crushed and I realised I needed a re-do at the last minute last night to photograph and upload to our challenge blog. I will need to make sure my husband doesn’t pack the car next time we go on holidays! Happy Birthday Gorgeous has gorgeous little flowers that I love using. They have a solid stamp that lines up perfectly to colour the flowers in no time. The colours I’ve used for the centre of my flowers are Berry Burst, Powder Pink and Blushing Bride. The leaves that I have used are from Flourish Thinlits Dies and I have used a combination of Olive Old and Berry Burst cardstock. The birthday sentiment I’ve used is from Big on Birthdays. The pretty DSP I’ve used in the background is from Bundle of Love Speciality DSP. 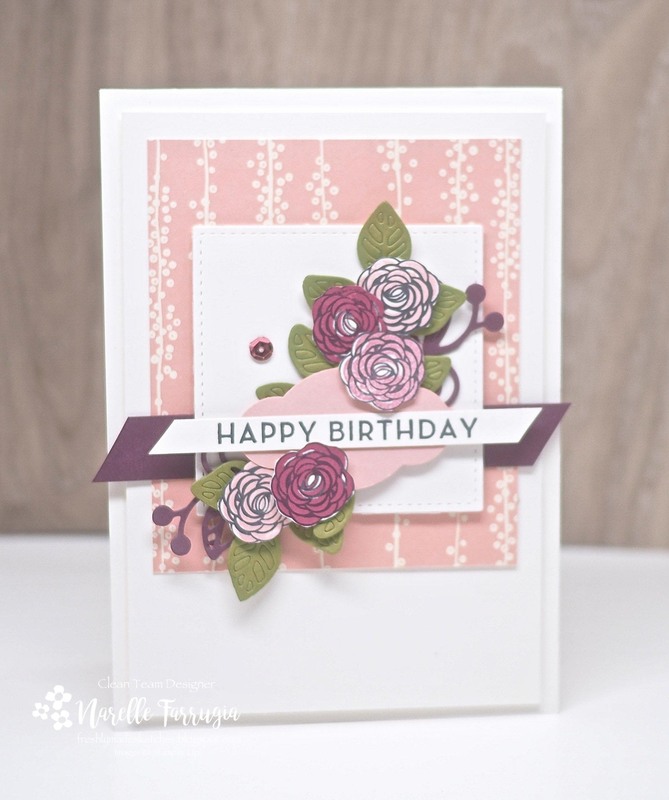 I then used a strip of Berry Burst cardstock to tie all of the colours and flowers together. We would love if it you could join us with Rita’s sketch. 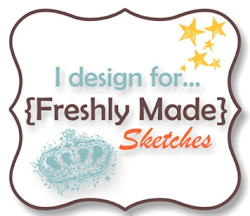 Head over to Freshly Made Sketches and take a look at the wonderful inspiration from the Clean Team. Well your redo looks fabulous! Love those gorgeous flowers against that beautiful DSP in the background! So, did the hubby get a flea in his ear?? 🙂 Beautiful re-do though – so very, very pretty. Such a pretty card! Love the beautiful blossoms! Thanks for the inspiration! I can’t believe your original card was a victim of a tool box! Your re-do is gorgeous too! Good thing you had time to make another (although it would be fun to see the crushed version too)! What a beautiful card Narelle! I love those sweet flowers as the pretty, soft colours! Just gorgeous! 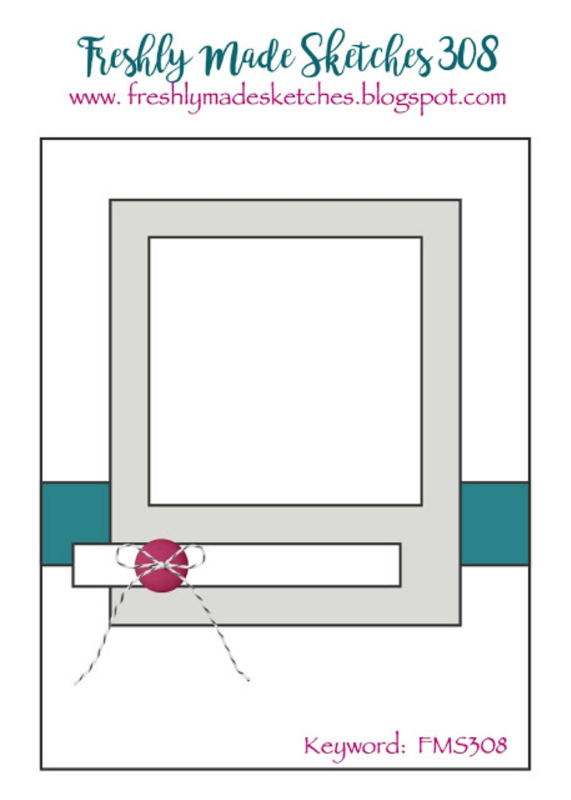 I love this beauty of a card! You should have shown the before and after pics. ha! Uh oh! Bad hubby! You rebounded beautifully. I love it!